Want To Know What Your Customers Really Think? AfterWords is an intelligent customer survey system that integrates a customer’s sales transaction detail with the survey process. The result is more immediate, insightful and actionable survey results. We include customer recovery tools so if there is a poor experience, managers are notified and can address it in real time. Our patent-pending process provides more meaningful survey data, results in less survey abandonment, and provides fast, actionable insights. 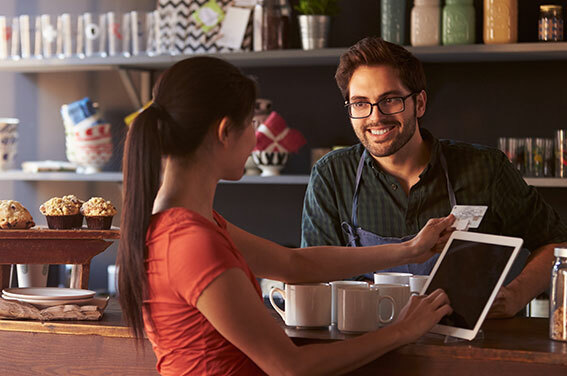 AfterWords enables restaurant and retail industry operators to deliver intelligent surveys to your customers. Our intelligent surveys will increase customer satisfaction, improve customer retention, and provide new insight for fine-tuning your operations. Intelligent surveys combine sales transaction detail with survey data to create more immediate and meaningful survey results. Intelligent surveys also deliver more personalized and relevant surveys to customers. CEOs know that how their company delivers a product is just as important as the product itself. The customer experience—that journey a customer has at all touchpoints from start to finish, is one of the most significant determiners of loyalty. It takes every advantage to thrive in today’s competitive market. Savvy CEOs know that means prioritizing customer experience research and strategy. Promote long-lasting relationships with your clients by cultivating a customer experience that helps you stand out and rise above in your industry. This checklist explores the 3 key tips to help you along the way. Today’s marketplace is dynamic, fast paced, and saturated with competition. No matter how great your product, it is still essential to differentiate yourself from your competitors by creating a customer experience (CX) that exceeds clients’ expectations. CX covers much more than traditional customer service. This series, The Science of Surveys, explains the world of surveys for the busy, on-the-go restaurant owner: best practices, tips & tricks, and heads up in designing, collecting, and analyzing surveys. Understanding the types of questions available at your disposal will help you design a more effective survey. The most valuable customer is the loyal customer. The one who will choose your business over others. What makes them loyal? What contributes to positive experiences to create repeat customers? This is the purview of the survey. It’s not enough anymore to stumble through customer satisfaction.